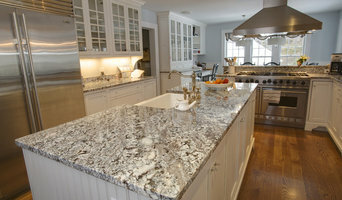 Boston Counters has a commitment to fabricating and installing the highest quality countertops in the New England area. 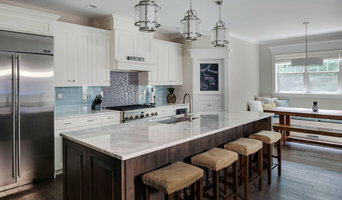 Select Stone is New England's and the Boston area's premiere source for marble and granite fabrication and installation. We have over two decades of experience in the natural stone industry. At Denise Konicek Tiling, our goal is to not only help you design and install tile, but to make the process easy and enjoyable for you. We are a family owned and operated custom woodworking company specializing in the manufacturing of cabinet doors, solid wood counter tops, exterior and interior shutters and dovetail drawer boxes. The business was founded in 1979 by Whit Sprague and continues to be run as a family owned and operated business. Whit's son, Alex Sprague and Daughter, Nancy Sprague Pafford are instrumental in the day to day operations of the company. Our focus as a business is building a superior product with unmatched personal service. Our solid wood counter tops can be found throughout New England and even across the country on occasion while our cabinet doors and shutters are shipped throughout the United States. 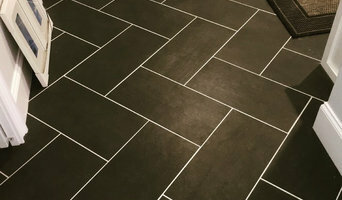 Tile International is your one source for quality ceramic tiles, & all marble & granite products. Our staff is highly trained to help you select the appropriate materials for your particular project. We offer an extensive range of tile and stone products along with professional installation and fabrication services at a competitive price. Visit our showrooms! Welcome to IDEAL TILE, a showroom unlike any other. We offer only the finest quality materials with the latest trends and the traditional staples. We understand the unique and individual taste of our clients and work within their interests. There is something for everyone here. Our objective is to provide our clientele with the best materials and service to create an end result that can be enjoyed for many years to come. Patience and creativity are essentials to our client services. Ideal Tile of Newton is an individually owned franchise. Our Newton location opened its doors in January of 2002. With our unique showroom and unbeatable customer service, we quickly became one of the leading tile retailers in the Northeast. In 2009 we were recognized for our outstanding service and products and voted the Best of Boston Home. We know choosing tile can be a stressful process, so we are happy to offer a design service to customers seeking help and advice. We recommend making an appointment with one of our professional designers so we can give you the time and attention you need to help you complete your tile selections. 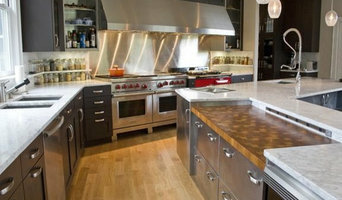 As an extended service, we provide the very best for countertop surfaces. We carry a very unique array of natural stone slabs, as well as quartz surfaces, and our quality is nothing short of the best. We have a team of very talented designers and associates to help you from the time you walk into our showroom until the time your project is complete. We invite you to stop by and check us out or call for an appointment to walk around our showroom with an IDEAL TILE specialist. Tile, stone and countertop projects might not sound especially complicated, but they can be surprisingly hard to get right. Seeking expert assistance can help homeowners save time, money and frustration. Contractors who specialize in this field are trained to install and repair tile and stone surfaces in your Belmont home, from flooring to backsplashes, as well as countertop materials such as solid surface, granite and marble. In addition to basic surfaces, many Belmont, MA tile, stone and countertop contractors can create and install murals and mosaics, as well as add decorative edge treatments to countertops. They also repair or replace surfaces in the event of chips, cracks, stains or other damage. Many tile, stone and countertop professionals also install shower pans, radiant-heat flooring systems and other common components of surfacing jobs, often working in tandem with Belmont, MA plumbers or other professionals. Here are some related professionals and vendors to complement the work of tile, stone & countertops: Interior Designers & Decorators, Architects & Building Designers, General Contractors, Kitchen & Bath Designers, Design-Build Firms. Find a tile, stone and countertop contractor on Houzz. Narrow your search in the Professionals section of the website to Belmont, MA tile, stone and countertops. You can also look through Belmont, MA photos to find tile, stone and countertop projects you like, then contact the contractor who worked on it.